These 4-Ingredient Cookies Are Our New Favorite…And You’ll Never Guess What They’re Made Of! We never met a dessert we didn’t like, but when we can whip something up with only three or four ingredients, we like it even more! We were making a single-crust pie the other day and were wondering what to do with the remaining dough…instead of making another pie, we thought we’d turn the crust into some tasty pinwheel cookies. With just some butter, sugar and cinnamon, we ended up with these perfectly simple confections that are just as great to look at as the are to eat. 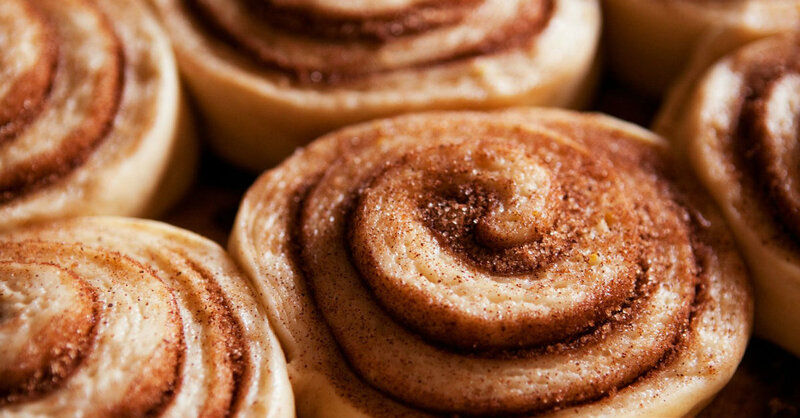 Next time we’re making a pie, we’ll make sure to save that dough for these pretty pinwheels! Combine sugar(s) and cinnamon in a small bowl and mix together. Roll pie crusts out on a clean, lightly floured surface and roll each out into a large rectangle. Brush melted butter over the dough, then evenly sprinkle cinnamon sugar mixture on top. Starting with the long end closest to you, roll dough over itself to create a long log. Cut log into 1-inch rounds, then transfer them to lined baking sheets. Place baking sheets in oven and bake for 8-10 minutes, or until cookies are light golden. Remove from oven and let cool 5 minutes before transferring to a wire rack to cool completely.